Cloud Robotics is a term that was popularized by James Kuffner after he brought together researchers from different relevant fields (robotics, machine learning, and computer vision) to assist in coming up with the initial Cloud Robotics concept. Cloud robotics, as the name suggests is bringing together cloud computing and robotics. In essence, taking all the benefits of cloud computing and finding ways to apply them to robot software and robotics. The past couple of years have established cloud computing as the technology of now and the future. In 2017, spending on cloud services was $153.5bn, and this is expected to rise by 21.1% in 2018 to $184.4bn. The sharing knowledge and information. The cloud as a resource. Big Data Leveraging. There is a vast amount of data online. The kind of data that can be harnessed to help create next-generation collaborative robots. 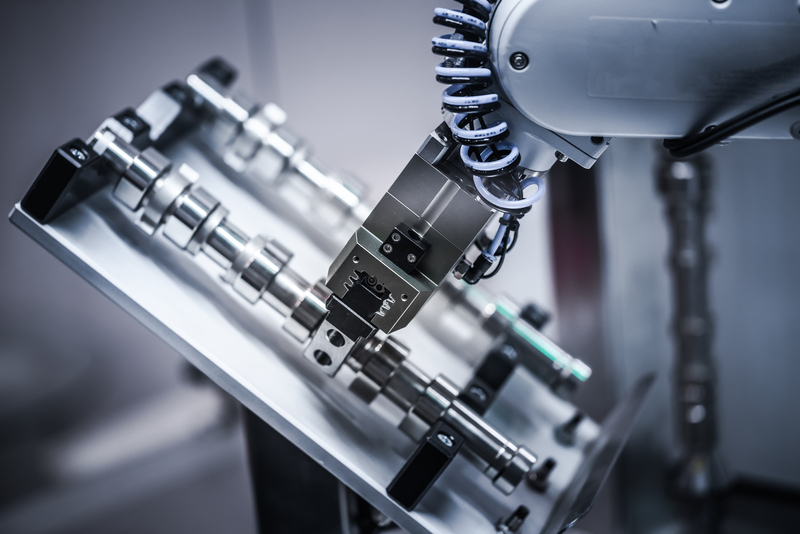 Harnessing this data is especially crucial because the field of collaborative robots is slowly but surely expanding to encompass more industries than just traditional manufacturing. Ken Goldberg, a professor at UC Berkley and a well-known expert in the field of robotics, gave an interesting example in one of his talks. Assume that the intent is to create a robot whose job is to declutter the house. It is impossible to program into the robot all the items the co-bot ought to pick up and what it should not or what goes into the bin and what shouldn’t. Here is an interesting scenario though, imagine that at the exact moment this robot encounters an unknown, it goes online. The internet has data on virtually every item known to man. The robot is then able to sift through the data, process it and make the appropriate decision on how to deal with the unknown item. Without cloud computing, then it becomes challenging to actualize this kind of robot because how then will the robot gain access to the information required. Having such a massive amount of information on a small household robot is not feasible. The sharing of data, knowledge, and information. One of the trends that is getting those in the robotics industry excited is the possibility that in future robots can learn from each other. Cloud computing can go a long way in expediting this possibility. That means if robot X, at company Y, through some complicated machine learning has figured a way to do a particular task, then this information is uploaded to the shared cloud. In turn, when robot A, at company B, encounters a similar problem, it connects to the cloud and applies the solution. A good example that demonstrates the massive potential of sharing information via the cloud is the Robot Operating System (ROS). Basically, instead of a robotics enthusiast starting from scratch anytime they are building a robot, they can build upon the existing code shared by countless others. The cloud as a resource. One of the reasons companies have embraced the cloud is the ability to access resources of the highest quality like massive computing power on demand. The provider of the cloud manages the resources, and the resources are continually updated, improved and maintained for the benefit of the client. Incorporating the cloud into robotics would give the robotics industry similar benefits opening up the sector to more significant innovations. The Google’s self-driving car is an exciting example of cloud robotics. The vehicle has access to Google’s massive data repository of maps and satellites which it then combines with streaming information like GPS and sensors to enable self-driving. In addition, as the car moves about, it collects data about the environment, traffic, and the road and continuously sends this data to the Google cloud for the benefit of all vehicles connected to this cloud. Cloud Robotics is still in the early stages. Research is ongoing amongst the different relevant bodies and in universities. Toyota, for instance, recently announced the creation of a new company—TRI-AD—with James Kuffner at the helm. TRI-AD sole goal is the development of automated driving robot software for Toyota.